Extra fine grain sand sponge for the care of your handcrafted cutting Board. 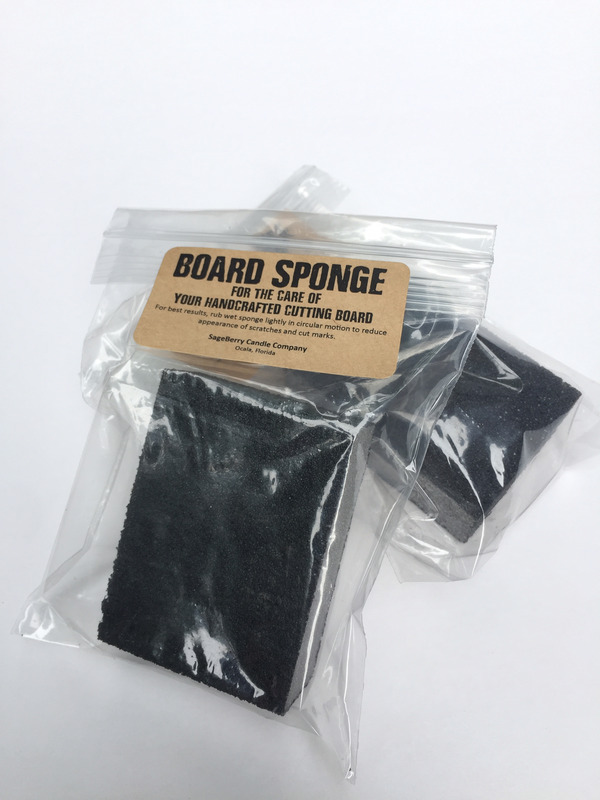 For best results rub wet sponge in circular motion on board surface to reduce appearance of scratches and cut marks. Follow with application of Board oil and/or Board butter.